A negative word in the progressive tradition. Progressive educational doctrine advises against graded tests because giving higher and lower grades destroys the spirit of cooperation and of egalitarianism, as well as causing students to work unproductively for grades rather than for the love of learning. It is undoubtedly true that too much emphasis on class rank and too much identification of intrinsic worth with academic grades are both distracting and inhumane. But the spirit of competition has not been eliminated in those progressive classrooms which have tried to abolish it, and what is even more important educationally, effort and learning have declined wherever grades and tests have been abolished. Human nature has proved to be robust. Evolutionary psychologists have argued that all humans retain a residue of competitiveness. Of course, these primal instincts should be moderated and civilized. But the use of grades and of well-devised tests during a course of study has been shown to improve learning. This suggests that instead of trying fruitlessly to abolish competition as an element of human nature, we should try to guide it into educationally productive channels. 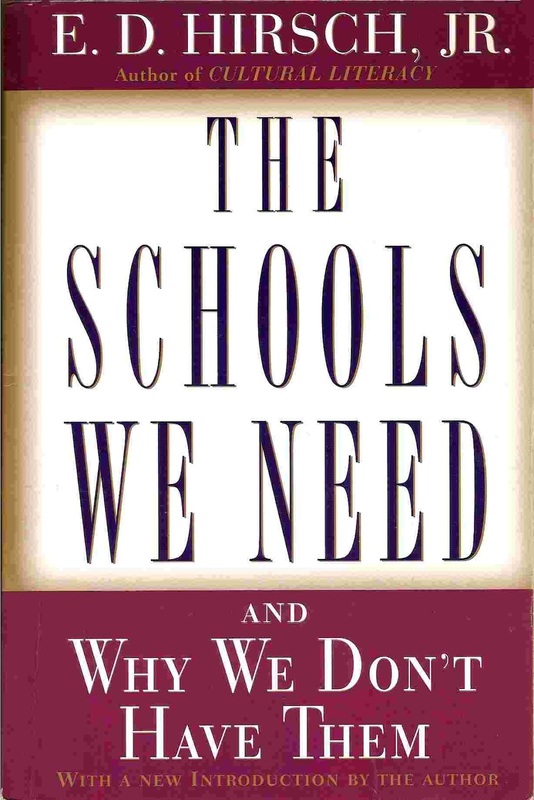 This was an excerpt from E. D. Hirsch Jr's book : The Schools We Need and Why We Don't Have Them.